Here is an article I wrote about the challenges of designing Tomb Raider, including a lot of tips and tricks for budding level designers. 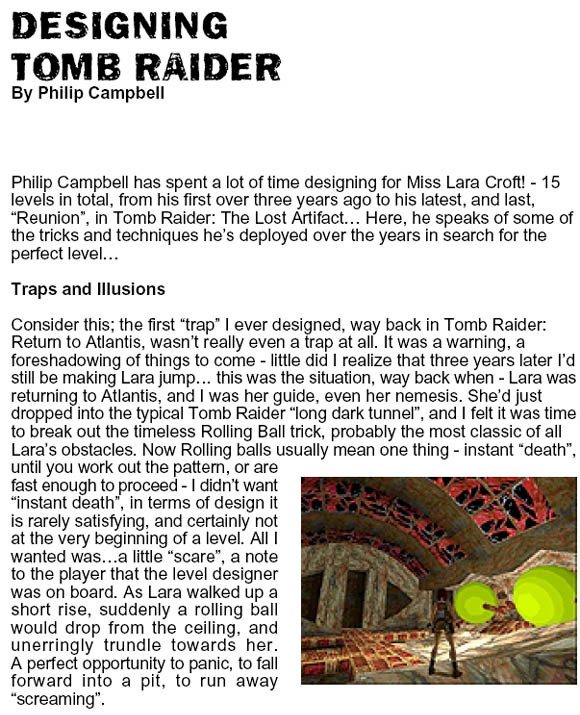 This article was included with the Tomb Raider Editor Project Guide when the tools for Tomb Raider were released to the public. Follow the link for the article and also check out the ‘Tomb Raider’ section in my portfolio.